Sarah's story: "I fell in love with exercise and all because of Clubbercise"
I am 37 years old and have been obese all of my life. 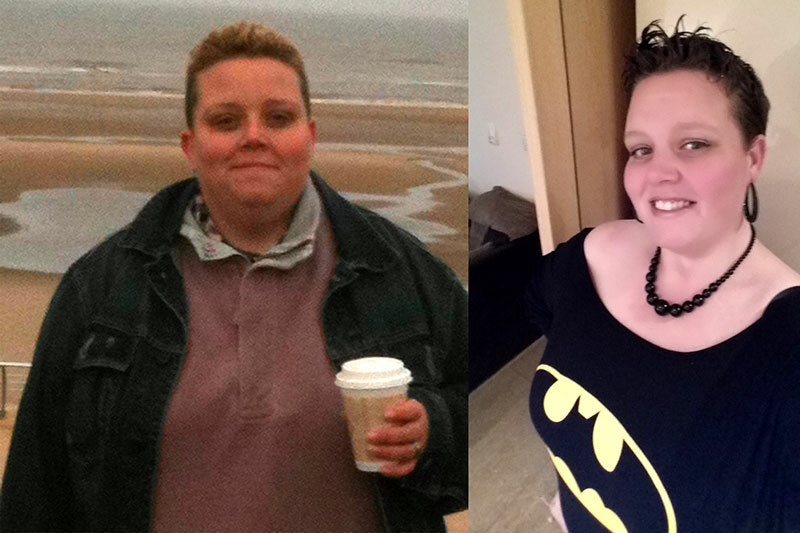 I was told after being very ill that I needed an operation but that I would not be able to have it unless I lost 6 stone. That was in April 2015. Now in Nov 2015 I am almost there! I was a whopping 21 stone 7 pounds. I know being in the 16 stone bracket would be the worst thing in the world to most people, but it's been my short-term goal since I began my journey. I started with a Zumba X-box game. My fitness level and confidence was zero. As my fitness improved I joined a gym and that's where I fell in love with exercise and all because of Clubbercise, it’s so much fun! I have gone from doing no exercise to doing four group classes and swimming three times a week. If I don't exercise I feel so lethargic. I never want too feel as sick as I did. I also joined Slimming World. I've made a big investment in me. My consultant at the hospital was very impressed with my weight loss and gave me another 6 months of treatment to make me feel well so I can loose more weight. I'm a nurse, so as soon as I get my duties for the month I work out what classes I can attend. The benefits have been endless. My blood pressure which was high is now normal. My cholesterol and diabetes risk have massively reduced. My resting heart rate has shocked me by dropping from 105bpm to 65bpm! I used to have back problems and my pain has disappeared with the weight loss and my improved core strength. I tell everyone that will listen how amazing Clubbercise is! My instructor is an inspiration she is kind and immediately puts you at ease. I will never forget my first class hiding at the back trying to go un-noticed! Then she said "It doesn’t matter if you get it wrong as long as you keep moving. No one can see you in the dark anyway, just have fun!" And that's what I say to other people that join when I'm standing at the front whooping and wearing something that glows in the dark! Thank you for making me believe after years of being unhappy in my own skin that I’m actually OK, and I'm strong and I will get to where I have always wanted to be.